A lot of BORP participants and families already know Ariel Smith-Iyer who has been working at BORP’s Adaptive Cycling Center for the last year. Recently, however, Ariel has taken on a new role at BORP as the Fitness Studio Coordinator. We caught up with Ariel and asked her a few questions about her new job… and a few other random ones, just for fun. Ariel: I grew up in a small town in New Hampshire and attended college in Maine for two years before coming to California. One of my sisters was starting graduate school at UCLA and I jumped at the chance to live somewhere new. We packed up a little U-Haul and drove further west than we’d ever been before. It was 1998 and the mix tape we made for the journey was incompatible with the radio-only stereo system, which itself was no match for the vast Arizona desert, where pressing the SEEK button gave you as many tunes as turning the dial to OFF. LA was definitely a culture shock but it blew my world open in so many great ways. My first job in the field of disability work was there, at UCLA’s Office for Students with Disabilities. BORP: How did you first learn about BORP? 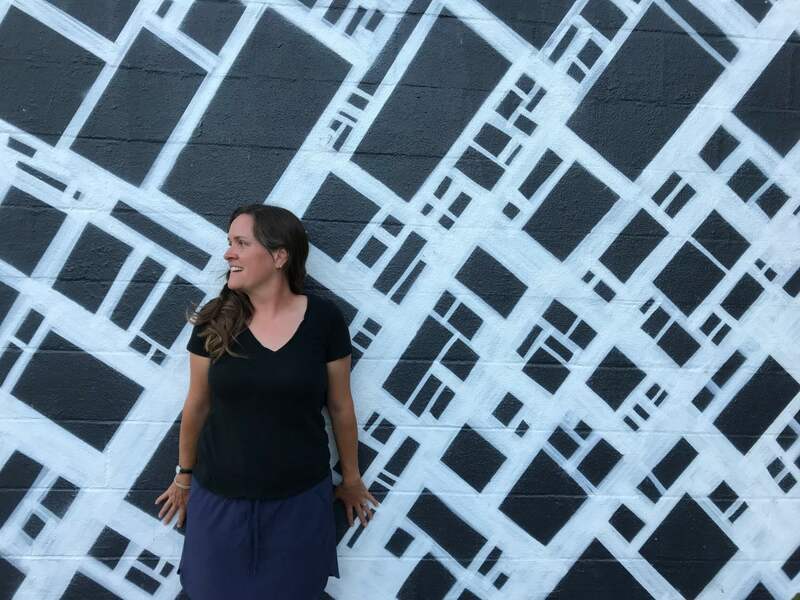 Ariel: I moved to San Francisco in 2004 and took a teaching job at a small independent middle and high school for students with learning disabilities. In my second year there one of my middle school PE students started playing wheelchair basketball with BORP. All her life she had gotten around on crutches but was finding she needed a wheelchair more and more. Playing wheelchair basketball transformed her relationship with her chair and gave her an opportunity to play competitive sports. I knew then I wanted to be a part of this work. BORP: If you could be any animal, which would you be? Ariel: Hmm, I’ve always been a big fan of elephants but I’m not sure their time on this planet is long. I’d probably choose to be a bee because I love being part of a team, visiting flowers all day sounds dreamy and flying would just be amazing! BORP: What are you passionate about? Ariel: When I started teaching middle school PE the classes were broken into two: I taught the girls, the male teacher taught the boys. This didn’t really make sense for these kids and I proposed we create a cooperative and a competitive group into which kids could self-select. It was perfect! I taught the cooperative group and my passion for supporting the under-dog took flight. I’m also a big fan of waste reduction and compost bins. BORP: What are you most excited about in your new position as BORP’s Fitness Studio Coordinator? Ariel: I’m excited to try out some new ideas, to learn what types of classes would draw in new participants (tell me!) and to strengthen and support the already great class offerings we have- we have some fanTASTIC teachers! My pie-in-the-ski right now is to create a scholarship fund so that our classes can be affordable for even more people. Working at the Cycling Center the last 12 months has been really awesome- we have the world’s largest collection of adapted cycles, by a factor of FOUR! I feel well situated, knowing that program so well and coming into this new one at the Fitness Studio. We may have a ways to go before we have a superlative like that to brag about but I’m stoked to keep building on the work done before me at the Fitness Studio, by teachers and coordinators alike, to keep our door open, broaden what we have to offer and make it accessible to more people. BORP: What’s your secret talent that no one knows about?